The Facebook Watch platform will be available on the social network's mobile, desktop and TV apps. Watch will initially be made up of video content from select Facebook creators and start rolling out to select audiences in the US. 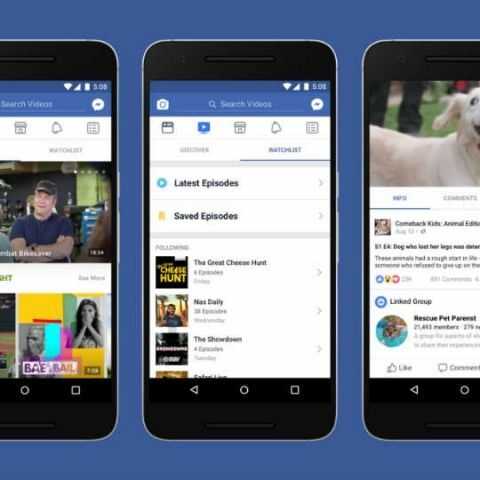 Content on Facebook Watch will be presented in the form of episodic shows, which will follow a particular theme or storyline. Facebook has introduced a new platform for live and recorded shows. Called ‘Watch’, the platform is Facebook’s big splash into original TV-style streaming content. The new Watch platform will be available on Facebook’s mobile, desktop and TV apps. Watch will initially be made up of video content from select Facebook creators, some of it sponsored by Facebook itself. This video content will be presented in the form of episodic shows, which will follow a particular theme or storyline. Episodes frequency will vary from weekly to daily, depending on the type of show. 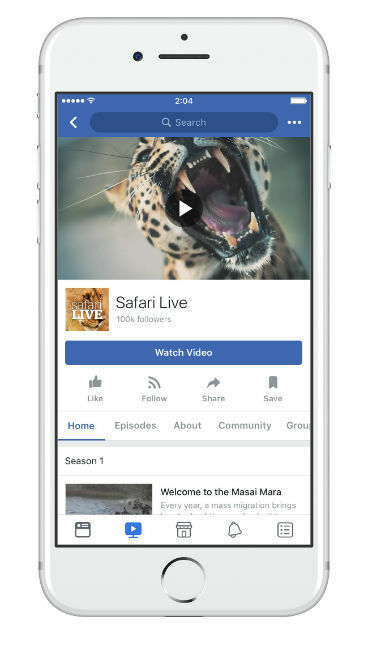 Shows on Facebook Watch can be live streamed or presented in a pre-recorded format. Users of Facebook’s Watch platform will also be able to add shows to a Watchlist, the same way one would add shows of their interest on streaming platforms like Netflix and Amazon Prime Videos. Facebook is following a personalisation approach with Watch, again something we have seen streaming companies adopt in the past. Users will be able to discover new shows picked according to what their friends and communities are watching. Facebook will categorise its shows in various different sections such as - “Most Talked About,” which will list shows that are conversation starters, “What’s Making People Laugh,” which includes shows where people have used the “Haha” reaction, and “What Friends Are Watching,” which will list shows that a user’s friends are watching. The new Watch platform on Facebook will also borrow an element from the social network’s existing Live videos platform. Users will be able to view comments and reactions on shows while watching them, just like on Facebook Live. Alternatively, users will be able to chat about the shows and discuss them on dedicated Facebook groups for the shows. Facebook has highlighted some of the shows that will be available on its Watch platform. For instance, Nas Daily will publishes a daily show where he makes videos with his fans from around the world. Another community engaging show will see Abby Bernstein, a New York Times bestselling author and motivational speaker use a combination of recorded and live episodes to connect with fans and answer questions. Then there are shows that will follow a narrative arc, like Tastemade’s ‘Kitchen Little’, a show where kids instruct professional chefs how to cook food after watching instructional videos. Live events like Major League Baseball will also be broadcasted on Facebook each week. There’s already talk of Facebook introducing original shows in hopes of creating a returning user base for its videos. We have heard that the company is willing to invest as much as $3 Million per episode in production costs for its original shows. These Facebook originals were expected to debut sometime in late August, but looks like they will be delayed, given the Watch platform has just made its way on the social network. Here’s what we know about Facebook and its original TV show programming as of now. As for Facebook Watch, the platform is open to a limited audience in the US, as well as a limited number of creators in the country. Facebook says a wider roll-out in the US can be expected soon enough, while there are no indications of the platform coming to other countries as of now.